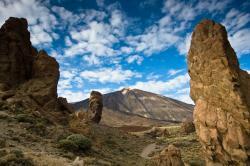 Discover the Canary Islands with this outstanding guide. If you plan to visit the Canarian Archipelago during your holidays, this is your place! Plan at your will and with all kind of details your visit to Tenerife, Gran Canaria and the rest of the islands with our deals on flights, hotels and car rentals. The Canary Islands are regarded as “the Sun of Europe” as they are an idyllic destination thanks to their mild temperatures, which allow tourists to enjoy their wonderful beaches throughout the year. Once there, you can relax, sunbathe or play sports like surfing, windsurfing or diving. Inland, you will find amazing landscapes that invite to take place in activities such as bicycle touring, hiking and climbing. You’ll also find cultural offerings like a walk through the historic centre of La Laguna, in Tenerife; the opportunity of discovering the works of César Manrique in Lanzarote; relax on the paradisiacal beaches of Fuerteventura and Gran Canaria or admire the stunning landscapes of La Palma, La Gomera and El Hierro while you make one of their routes. Nature tourism is also one of the great attractions of this destination as it enjoys enviable natural surroundings. This is evidenced by the fact that four National Parks and five of its seven islands have been declared Biosphere Reserves. 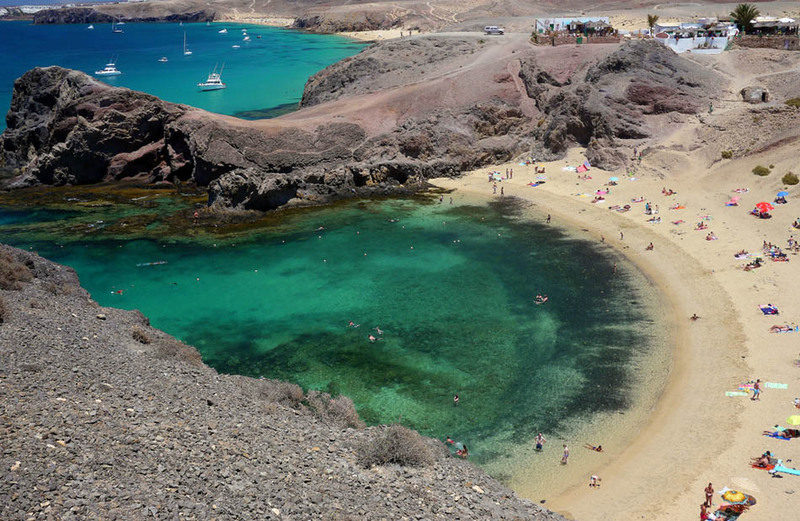 What do I need to know about spending my holidays in the Canary Islands? In the Canary Islands there is an enormous variety of hotels, focused to every segment of the population and occasion. In this section, you will be able to find a useful list of hotels in Tenerife, Gran Canaria, Fuerteventura, Lanzarote, La Gomera, La Palma and El Hierro. If you’re staying either for a short or long term we recommend you to go through this section. Moreover, you will have an access to the last minute offers to the best Hotels and Apartments. 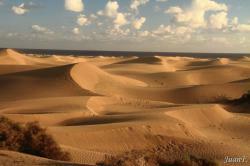 Canary Islands are not only sea & sun. In every island there is a lot of interesting places that are a must-see for all of those who are visiting the archipelago. Know from the local’s perspective all the important places of interest and don’t let any of them escape during your holidays here. Discover the best beaches of Tenerife, Gran Canaria and the rest of the archipelago for your vacation. The Canary Islands are very famous for their excellent beaches. A proof of that is the massive tourist movement generated by the whole region. Travelling by plane is usually more comfortable and cheap. There are many regular flights to Tenerife, Gran Canaria, Lanzarote and Fuerteventura from Spain or any other country as well as other inter-island flights. In addition, based on the dates of your trip you might find some special offers to Tenerife, Lanzarote and other islands. In the Canaries archipelago you can find many different kinds of interesting museums. Although most of them are in Tenerife and Gran Canaria, in the rest of the islands you may also visit some interesting museums. In this section, you can find a guide to the most important museums and their addresses, phone numbers and some other information. We recommend your visit! Means of transport to travel in the archipelago.